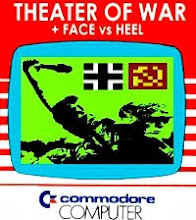 This blog is mostly about my various Commodore VIC-20 projects that I've created since 1988, with most emphasis being placed here on my published retrogaming titles: Realms of Quest and Theater of War. 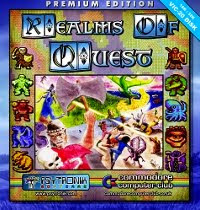 This month marks the 20th anniversary of Realms of Quest. 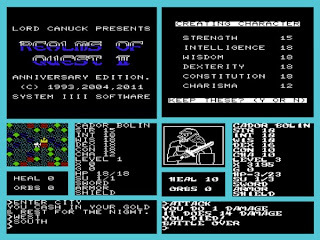 It was in the Summer of 1991 that I embarked on making a computer role playing game for the Commodore VIC-20. I was successful in completing the first one, but I had given up in creating a sequel shortly afterwards. I did create about 20 monster portrait graphics pixel by pixel with a simple graphics program, however. In 2004, I programmed a "mini" version of Realms of Quest II intended for the Minigame Competition; minus the portrait graphics, because to use them would surpass the 4K limit that the competition required. So twenty years after I had made the original Realms of Quest I, I decided to revamp the first two games. 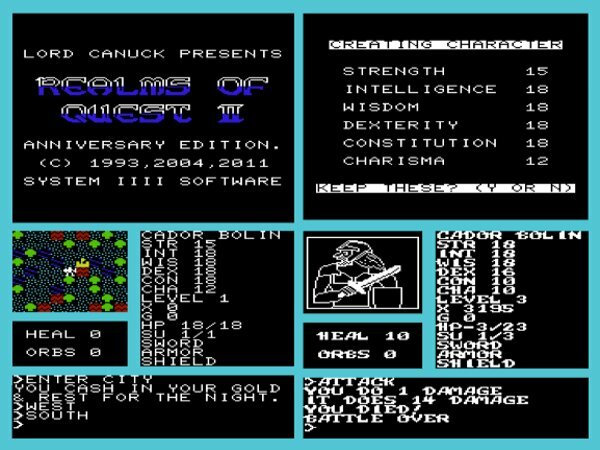 And so I took the portrait graphics I had made in 1992-93 and combined them with the Minigame version of Realms of Quest II. So finally after all these years, there is a fuller and more complete version of the middle of this CRPG series. For the Unexpanded VIC-20 + Disk Drive. 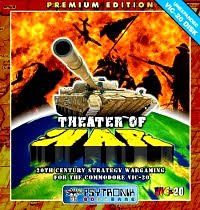 Instructions on how to play can be read from the main game menu. The updated version of Realms of Quest I is also being worked on, hopefully I can get it completed before the year ends. Go to the following links below to find out how you can actually buy real physical copies of my games. 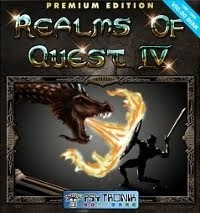 Realms of Quest I: Anniversary Edition!